On Thursday last week, Qantas released a set of changes to their online booking environment with a suite of improvements for making flight bookings – but also with the effect of removing cheap Any Seat Awards. The new booking engine fixes some issues around sessions timing out and adds the ability to show points plus pay (and the normally priced – expensive – Any Seat Awards) pricing alongside paid fares. The new design and features are generally an improvement – I really liked the old qantas.com booking engine so I’m finding the changes hard to get used to though. The biggest impact on me personally (along with many others in similar situations) is that the old, cheaper (internally known at Qantas as ‘marginal’) Any Seat Awards are no longer bookable online. I only recently wrote up how to book these Any Seat Awards at Classic award level prices, earning points and status credits along the way. This was very useful for me, as I seem to usually earn around 400-500 status credits a year in my normal travel habits – and taking Business Class Any Seat Awards instead of an Economy flight, say to New Zealand or domestically, has bumped me up over from Qantas Silver to Gold status without much effort on my part. These ‘marginal’ Any Seat Awards are now only bookable by calling Qantas – the best number to call to sort this apparently is 1300 366 587 between 9 and 5pm AEST, Monday to Friday. You can still research Classic Award availability on qantas.com (read the how-to), which should yield the necessary seats available for cheap ASA booking, however there’s no guarantee here and your research and booking is left in the hands of a Qantas phone agent. All up it will take significantly longer to research, price and book Any Seat Awards. The phone solution has also only been promised for 3 months, with the potential of the lower priced marginal Any Seat Awards being phased out after this time. Given that the phone booking only will reduce the use of these redemptions, it’s likely that Qantas will assume that they aren’t used, therefore they can be ditched. These cheaper Any Seat Awards area very likely to disappear by the end of the year, if not sooner. They don’t really reward your spend with Qantas, but they do increase loyalty with repeat bookings. In all likelihood they are probably a cost burden on Qantas – both in terms of more status credits being accrued meaning more Qantas elite members, and also to administer in the back-end operations – both on Qantas.com and in their call-centre. The phone searching adds an extra step to research and booking, but in the short term at least, you should still be able to research availability using classic award search online and then call to book as a cheap Any Seat Award, if you need the status credits. It will be much harder to do, and fewer people will do it. The complete removal of this option in future really affects only those who used the cheap Any Seat Awards to gain status credits and points. In every other respect they are not a great deal, with Classic Awards usually pricing out far cheaper in taxes and fees. Those who use Any Seat Awards to gain status credits and points are likely to be marginal Qantas Gold or marginal Platinum members – like me, a couple of hundred status credits away from attaining or renewing status each year. For this group of flyers, the removal of this option is likely to punt members down a tier unless they choose to pay significant sums on paid fares to attain the necessary status credits. I imagine it’s a minority of members, but it hurts for that minority, which I’m in. There are, of course, much bigger things to worry about in life than attaining or renewing frequent flyer status, so this change can be shrugged off, in my opinion, as just that – an inevitable change in rules in the frequent flyer points game. For me, there’s a very strong chance I won’t retain Qantas Gold in 2014. Gold membership is most useful for lounge access when flying in Economy or Premium Economy with oneworld airlines, all around the world, not just with Qantas, and it’s not something I will easily give up. There are other, very simple ways to pay your way into Qantas and oneworld lounges though which are worth considering – such as Qantas Club membership, or by holding an American Express Platinum Charge card which entitles you to Cathay Pacific Marco Polo Club Gold membership, the equivalent of Qantas Gold in Cathay’s world. In my view, there’s actually little benefit in seeking Gold membership if I can fly in Business Class (using points), so for me my bookings and loyalty plans will become about the most effective way to fly Business and First Class, and not attain status. I focus on both equally at this point, as I value the lounge access. I will ensure I diversify where I accrue my points to, on the assumption that I won’t fly enough to hit Qantas Gold each year. Qantas Silver status is not worth the bother to me, so in many ways Qantas have done me a favour – as of my membership renewal in a couple of months, I’m out of the clutches of Qantas Frequent Flyer and off the treadmill of looking for ever more status credits. I should be more open to a world of looking to attain the most points of any useful currency, and looking for the best redemptions for my needs. just came across the site – great – as i was just thinking how annoying the new qantas site is! And geared to making it harder to use your points. 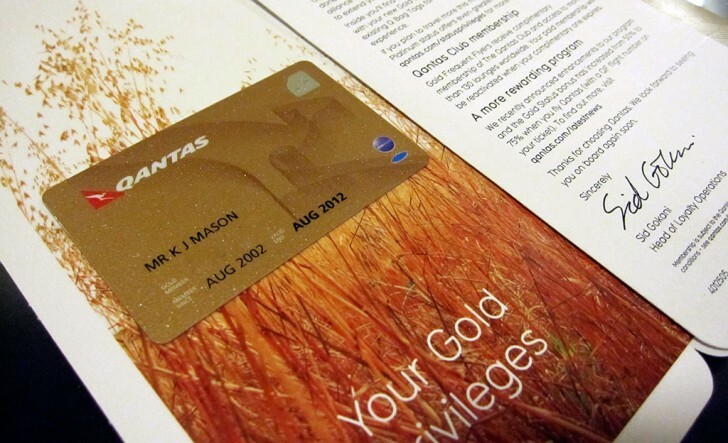 i have also been tied to qantas – more because i accrue a lot of frequent flyer points through my business – but my amex ultimate card is changing the rules on how it awards points (less surprise, surprise) so its off to altitude rewards for me. They allow transfer to Singapore…. ive been given a MC and Amex Black Westpac altitude card. Amex allows 3 points on buys so that makes it acceptable for when i do big purchases. my (soon to be dumped) amex ultimate card has just dropped the points rate for said big purchases to 0.5 FF points so its time to go. the amex ultimate card has been in decline with many of its benefits being whittled away (my personal contact, who looks after you, left recently and was not replaced) so its time to go. Amex especially do not reward loyalty. Hey – thanks for the comment. Where did you hear this from? I hadn’t heard in my online travels… but will give Amex a call to confirm. It is still available, i took it up a month ago to see if it offered better award availability on CX. but i hear it could be going, and it’s a bit unclear if it is renewed each year, or just a one off. Are you in Australia? the form i downloaded from the platinum site. It’s still there as i just checked. I saw something on the site, too… if you have a link, that would be appreciated. I’m just telling you what I’ve been told. As of now, I have the card, and seemingly no prospect of getting Marco Polo Gold. So there is no way I can recommend it to someone on that basis. Don’t believe everything the phone operators tell you. the application form is available on the website – download it and email/fax it off. Keith: Did you actually call to confirm? The Frequent Flyer: Is it so difficult for you to just quote the relevant part of the form you downloaded? I emailed my form in about a month ago and it was processed no problems. Received my card and bag tags last week. p.s. the same thing happened on the form the previous year too. Well, I guess you win, then. Official Amex line from three calls I’ve made has been “we no longer have that affiliation”, and I have nothing official to quote at them. And you haven’t come up with anything either. I have the latest form, emailed on the 28/5. The fact it is still listed as a platinum benefits is another example. If you want a copy of my form, go to my website and register on the forum. I can then send you a copy. @setsuzei:disqus My take: Applying for the Platinum Charge assuming that CX Gold would be available, if you *really* want it, would be a bit risky. Seems to be one of those undocumented benefits that could disappear. Yep, and I had the same response as you – not available (or didn’t know).